The Yamaha PSR-S750 is packed with amazing Voices, Styles and comprehensive features to help you create, arrange, perform and record your music in any genre. Playing a Style is like being the conductor of a band that always plays the chord and arrangement you tell them to play. The new PSR-S750 has a huge set of 325 built-in dynamic Styles. A larger speaker box gives the PSR-S750 a full, powerful sound with deep lows and clear highs. The PSR-S750 features a Yamaha manufactured digital amplifier with a superb signal to noise ratio. Because of its fully digital, highly efficient design, the amp delivers high performance while significantly reducing energy consumption. The PSR-S750 is capable of playing back and recording audio files. It can also play back audio files from its Multi Pads, great for triggering loops, vocal phrases and sound effects. 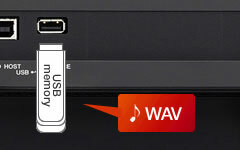 The PSR-S750 conveniently supports WAV audio file playback. Thanks to Yamaha’s new Voice & Style Expansion packs, players can take advantage of a wide and ever-increasing selection of authentic sounding Voices and Styles from around the world. Load them to the PSR-S750's built-in FlashROM (64MB) and instantly play authentic sounds, rhythm and backing in the musical style of your choice! The PSR-S750 connects and interacts with your mobile devices and tablets. 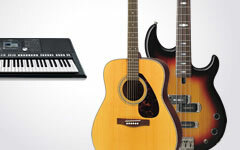 Plus, Yamaha’s growing number apps for iPhone, iPod and iPad bring new ways to interact with.